Close your eyes and recall your mother’s scent. Was it spritzed from a clear glass bottle? Or a subtle, lingering aroma from shampoo, soap or a favorite hand cream? “Smells spur memory, but they also rouse our dozy senses, pamper and indulge us, help define our self-image, stir the cauldron of our seductiveness . . . wed us to fashion, steep us in luxury,” writes Diane Ackerman in her seminal book A Natural History of the Senses (Vintage, 1990). No wonder we humans have been in love with perfumes for at least the last four millennia. Sanford generously sent me sample bottles of every fragrance in LURK’s line. I have worn one per day for over a week now and find them delightfully uplifting, comforting and subtle compared to the harsh smells of conventional perfumes. I have always loved warm, citrusy aromas, but have discovered how much I love rose in LURK’s RSW005 eau de toilette. 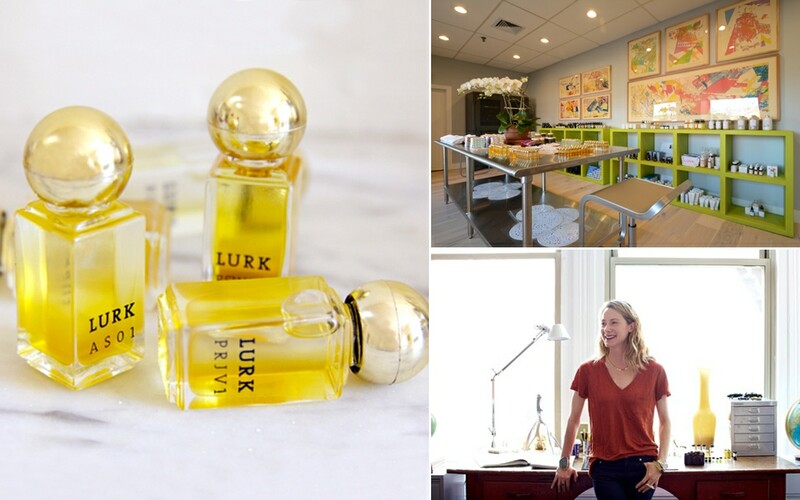 LURK perfumes contain no chemical preservatives, stabilizers or additives, which can cause allergic reactions in some. Most of all, the scents’ subtleties make them beautiful. Perfume oils tend to soak into the wearer more quickly than the eau des toilettes, but it would be hard to overdo it with either. “When people wear our fragrance it’s a signature, a subtle signature,” says Sanford.